As I said in my post on December 9th, I never did write the article exposing the "Dark Secret" of the training and development industry - that organizations world-wide were investing billions of dollars annually in instruction that fails to produce lasting changes in behavior and improved workplace performance. First, billions of dollars continued to be wasted every year on training that doesn't have the desired impact. This shocking circumstance continues to this day. Second, I got out of the training and development business. My company was good at it, but the work took a lot out of us and, as I explained in my previous post, it didn't give us the kind of satisfaction we were looking for. 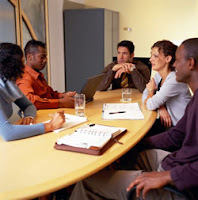 Instead, we evolved our company into a human resource development product business. Our flagship product since 1994 has been a breakthrough highly customizable multi-purpose web-based feedback survey system called 20/20 Insight GOLD. Fourth, my enduring interest in the cognitive neuroscience of learning led me to understand why the post-training follow-through is absolutely essential. It's because what's acquired in the classroom is mainly knowledge, not skill. Skill comes from many, many repetitions of the desired behavior in the workplace, so that the skill becomes ingrained as a work habit. People won't continue using a new skill in the workplace unless it becomes second nature. Instead, they fall back on old, comfortable patterns. And skills become second nature only when the brain cells involved in the skill grow together to form a neural pathway. 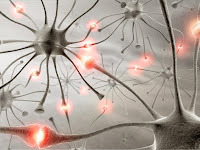 Repetitions of the skill excite the chemistry that initiates the growth of dendrites, which eventually connect the brain cells. And more repetition continues the growth until the pathway is complete. Only then will the new, improved approach to behavior, which was introduced in training, feel comfortable enough to use it in place of the old behavior pattern. And this usually takes months of consistent application. This is why a few days of training can never produce the desired result. This is why follow-up is needed. And why, to this day, billions of dollars are still being wasted. Because it's still unusual for an organization to invest in an effective follow-up program. My belief is that organizations may have heard the alarm, but none of the books I cited above included this essentially physiological cause-and-effect explanation. So executives don't appreciate why so much follow-up is necessary. Hence, I wrote an ASTD Infoline monograph entitled Enhance the Transfer of Training (2007), in which I outline the core problem and clarify the solution. It's all there, but in retrospect I think my paper was like a tree falling in the woods. To address the problem with a technology solution, my company began development of ProStar Coach, a web-based learner support system to serve as a "virtual coach" during the period of follow-up. I've always found that repetitions can greatly increase skill. Even when people try to do things they think they can't do, after one hundred attempts, they find themselves a lot better at it. "Practice makes perfect" -- not exactly a major revelation but true nonetheless. Denny - Why is it that companies fail on follow-through? Do they not understand up front that there will be work required afterward, or is it that they take a 'quick-fix' approach, expecting that results happen proportionately to dollars spent, not work done? Or is it something else, do you think? Roy, I think executives honestly believe that good training courses will do the job. They just don't appreciate what's actually involved in changing a work habit. They really need to understand this stuff! It helps to see it from the point of view of the executive who pays for the training of his staff. He has many different programs to choose from, which one should he choose? If he selects a program that is rather lengthy and requires several followup sessions, he will feel that the program will take too much time away from getting "real work" done. So often, the executive will instead choose a few programs that can be taken in bite-size pieces. For example, a day course in time management, a seminar in matrix managment techniques, a week at the Center for Creative Leadership... these programs are short and effective. It's hard to sell a program that requires a massive time commitment and many followup sessions, especially when it's just training on one idea. As an executive, you have to figure, is this program going to work? Is it worth taking all that time away from people's regular job? What's the ROI? With the shorter 1-5 day programs, some people will get improvement, and only a few days are wasted. If it works, repeat it again next year with a different set of staff members. Denny, great post. It goes to the heart of understanding why training is needed and the lack of appreciation for the training needs assessment. Some where along the way the emphasis on measuring the value of training shifted from accountability to immediacy. I think the immediate need to train as the solution emanated from the rise of lacking technical competency in supervision to validate and sustain the training objectives. We mustn't forget that CEOs are a product of this broken training formula. As such, they have come to expect training to fill a functional void without follow on reinforcement because it cost too much. It is our jobs to show ROI. There is a lot of blame to go around. Your four points underscore it reality.